Google India has launched the Google Nexus 5X along with Nexus 6P in India in its first ever Nexus launch event in the country. 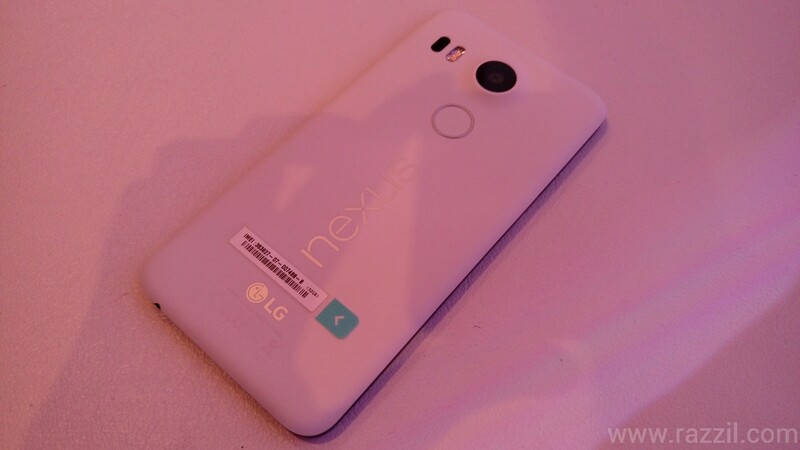 The Nexus 5X is built with the partnership between Google & LG. 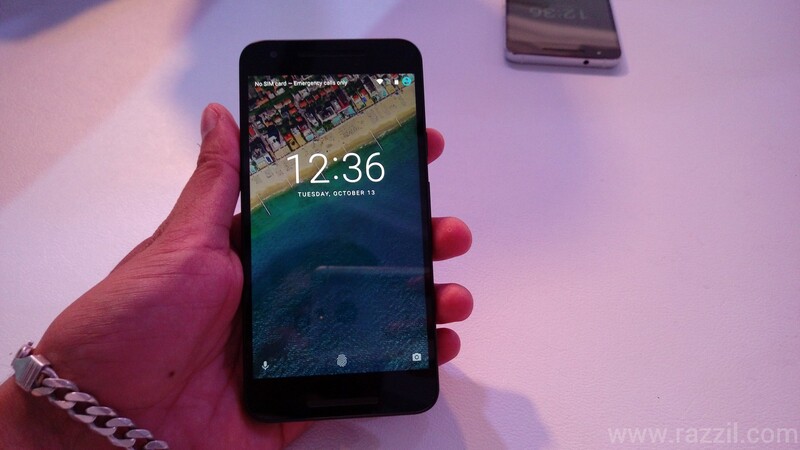 The Nexus 5X has 5.2″ Full HD screen, Qualcomm Snapdragon 808 processor mated with 2GB of RAM. The phone comes in 16GB & 32GB Memory format. 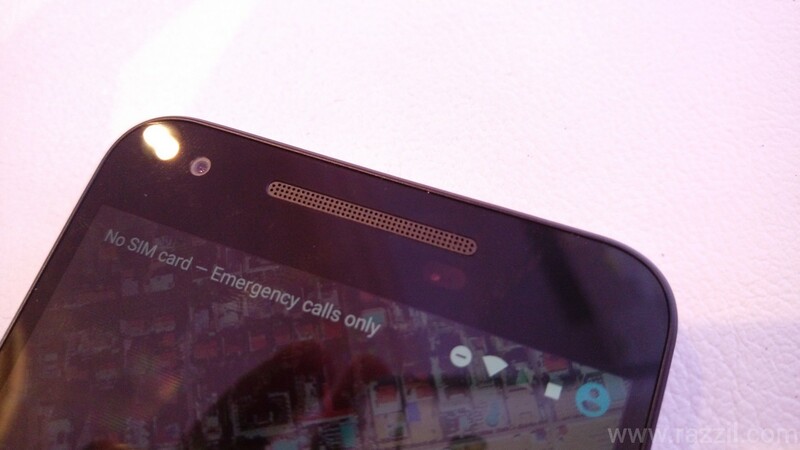 At the back, there is a 12.3MP camera with laser-assisted autofocus and fingerprint sensor. At the first ever Nexus event in the India, Google has launched two Nexus device: Nexus 6P & Nexus 5X. The Nexus 6P is high end device while Nexus 5X is slightly cheaper than the 6P. By design wise, both the device almost follow the same look except some omission like 5X has 5.2″ Full HD Display instead of 5.7″ WQHD display and polycarbonate body instead of full metal unibody. There are also using LCD instead of AMOLED. Nexus 5X is even more lighter than the 6P, thanks to smaller screen size and body different. They’re using polycarbonate material which gives the sturdy look. 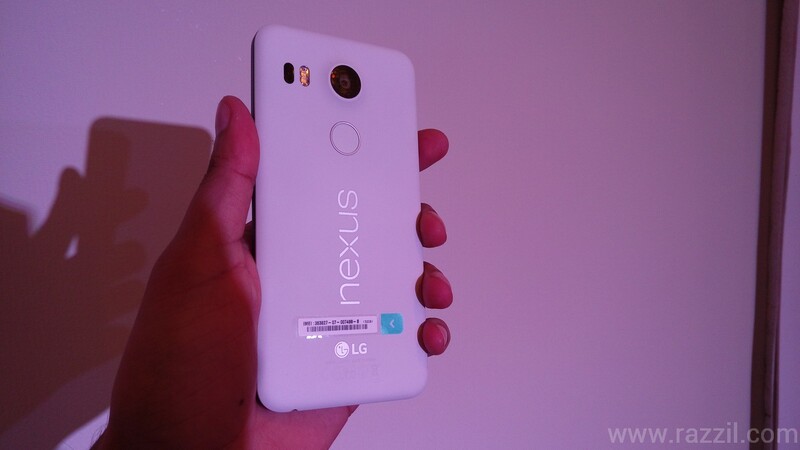 To me, Nexus 5X looks complete, it can easily fit in your palm and surface is not slippery. 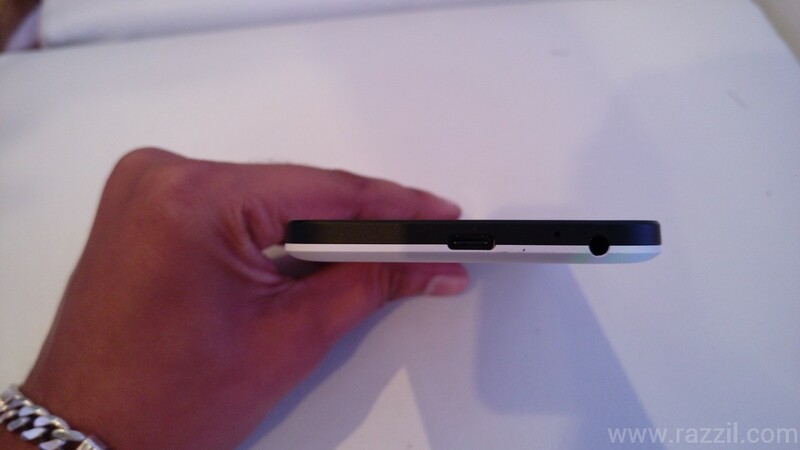 Unlike the Nexus 6P, Nexus 5X has no stereo speakers on front and the rear side looks same like HTC One X.
Nexus 5X comes with USB Type-C port with fast charging support. Both Nexus 6P & 5X has same camera but 5X comes with few things less as compare to 6P. Nexus 5X image & video quality is superb in first look and it did the great job at the time of little testing, through the actual result may differ in real world condition. Both Rear & Front camera equipped with 1.55 µm and 1.4 µm sensors which means, the phone will capture more light in low light condition. Hence brighter photo in low light condition. 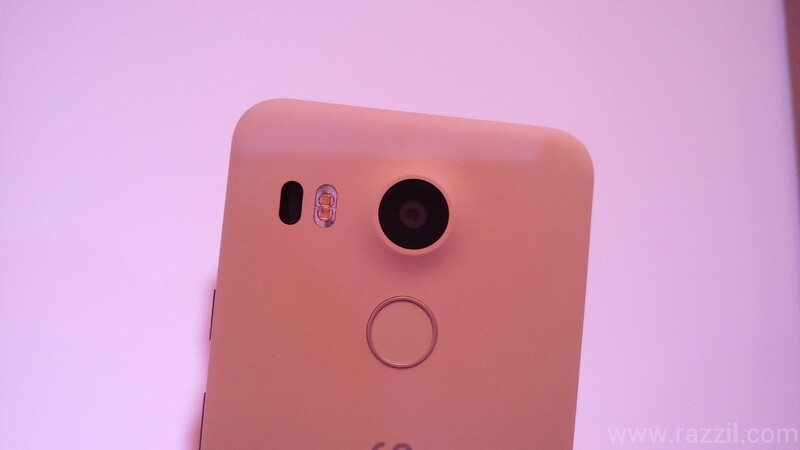 Nexus 5X is also capable of capturing 4K and slow-motion videos @ 120 fps while Nexus 6P can record it at 240 fps. This major difference between 6P & 5X camera. Google Nexus 5X is running on Google latest n Greatest Android 6.0 Marshmallow OS. Those who are using the Lollipop OS on their phone knows how good the new Material colors and animation. In Marshmallow, Google enhances all these animations with subtle tweaks in overall UI. The major change is at app drawer part, now in marshmallow you’ve to scroll horizontally to view all apps. And it’ll continuously detect, which apps you’re using the most and it’ll arrange those apps on top. Nexus 5X will now give 30% more battery life in standby mode, thanks to marshmallow. This new feature will increase the battery life when your phone lies in idle and they’re also using a low powered sensor hub, which handles the low end task such as showing notification on screen in ambient mode. Google is squashing all the short comes that we found in previous phone and now I can say we finally found a Perfect Android phone which shines in almost every department. The Price is again high but in upcoming months, it’ll come under 30K and then I believe the phone will do good in the India market. On ecom, you can buy this phone exclusively on Amazon and also available Offline in leading tech stores.